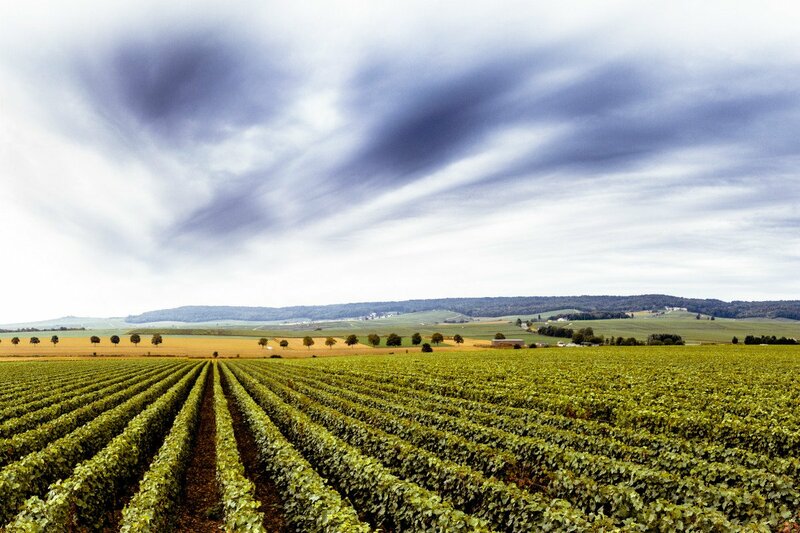 The dramatic landscape of France's Champagne region. Photo courtesy of Champagne Armand de Brignac. Emilien Boutillat, winemaker extraordinaire for Armand de Brignac, knows Champagne: the region in northwestern France and the bubbly. We asked him to tell us how to get the most out of both, from the small towns you can't miss to the questions you should ask a vigneron. CHAMPAGNE, France — I come from a family of winemakers and was born in Champagne, France. Throughout my childhood, I worked in the vineyards and the cellars with my father, developing a deep appreciation for wine and its production. When I was older, I chose to travel the world and experience new and different wine regions: Bordeaux, California, New Zealand, South Africa, and Chile, to name a few. Yet after seeing so many wonderful places, I decided to come home to Champagne. I love the wonderful landscapes and the history of the region and now work as a winemaker for Champagne Armand de Brignac, a collection of five prestige cuvées produced by the Cattier family, 13th-generation Champagne growers. 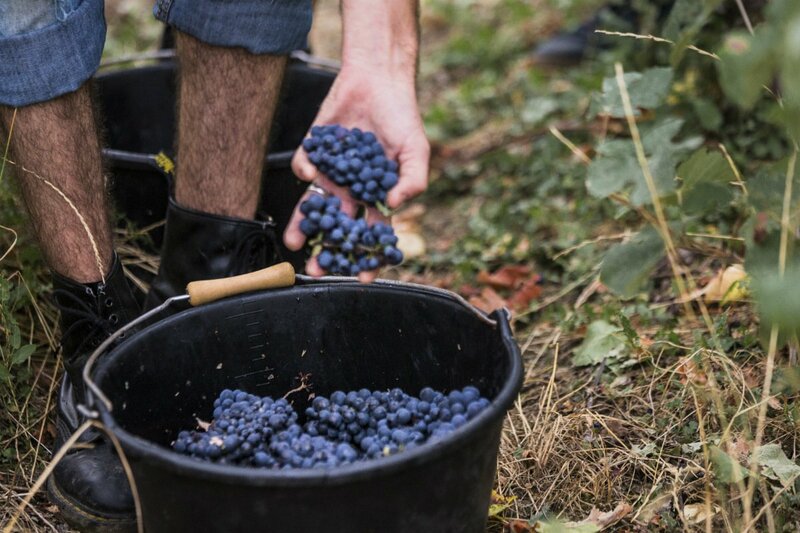 Picking grapes off the vines at the Armand de Brignac vineyard in Champagne. The author, Emilien, engaged in quality control. Champagne can only be made in Champagne, France. If it's not, it's technically not Champagne, but rather sparkling wine. So if you love the finest bubbly, there is no better place to visit than the birthplace of the king of beverages. (King Louis XIV and Madame de Pompadour loved Champagne so much that it came to be referred to as "the king of wines" or "the wine of kings," and still is to this day.) 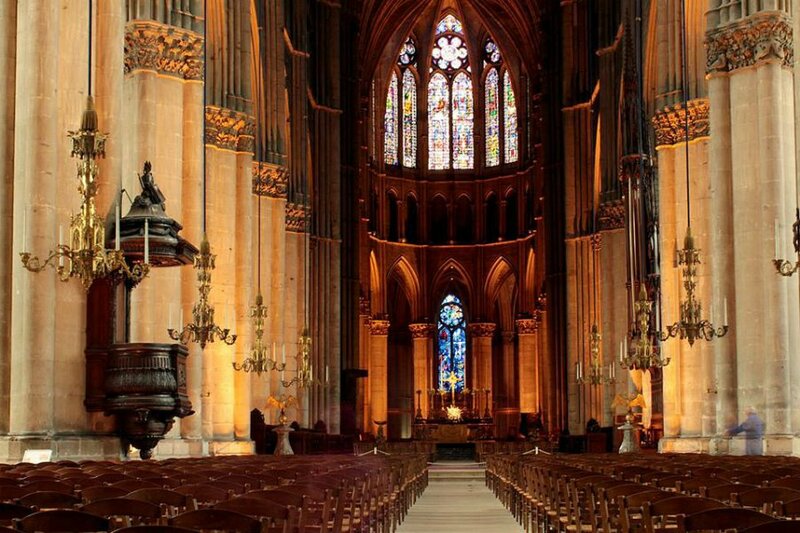 Speaking of royalty, King Clovis, the first king of France, and most of the French monarchs that followed, were crowned in the Cathedral in Reims, the region's informal capital. Today, Riems and its cuisine continue to blend traditions both old and new. 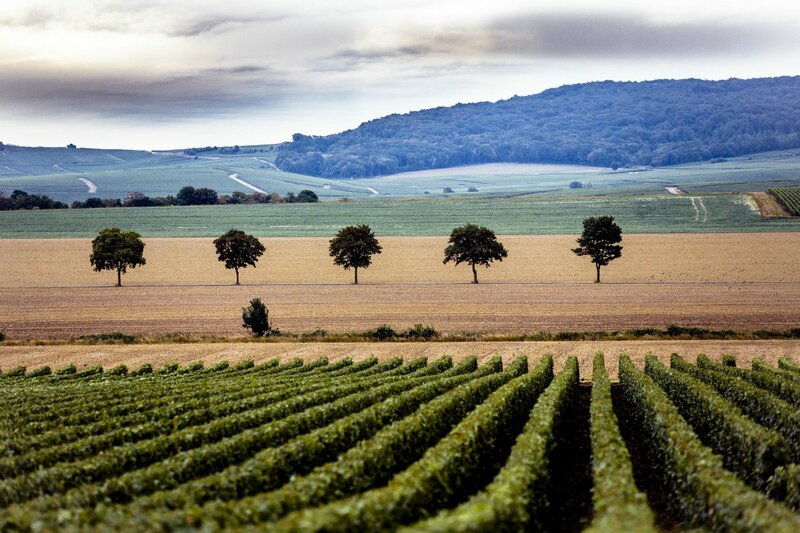 The beautiful, contrasting terrains that make up the Champagne landscape. The region of Champagne, France, is extremely diverse, with three distinct terrains: the fields in the plain, followed by the vineyards in the hills, and the woods atop those hills. The landscape is incredible and changes with the seasons: I enjoy fall the most because, when the leaves on the vines and the trees turn, the landscape becomes a rainbow of vibrant red, yellow, brown, and orange. 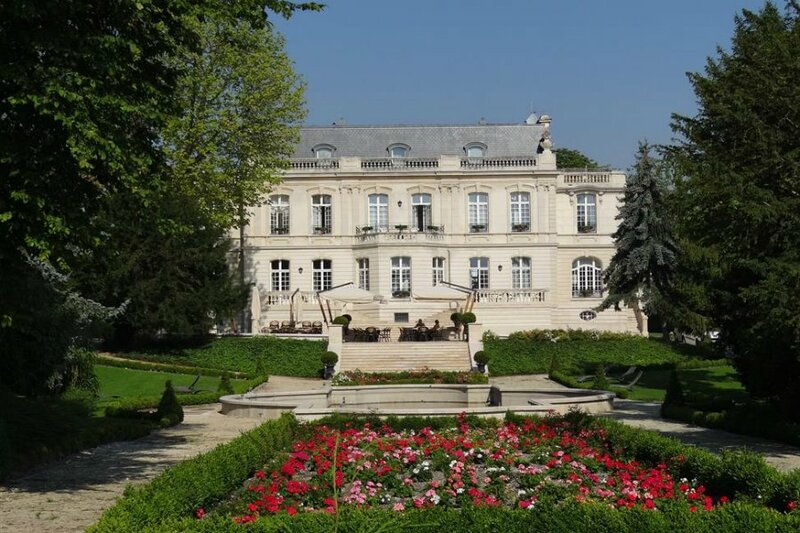 In Champagne, everyone visits the village of Hautvillers, a beautiful town with lovely vineyards and a striking landscape, as well as Epernay, the capital of Champagne, and Reims, the largest city in the region, known for its king-crowning cathedral. 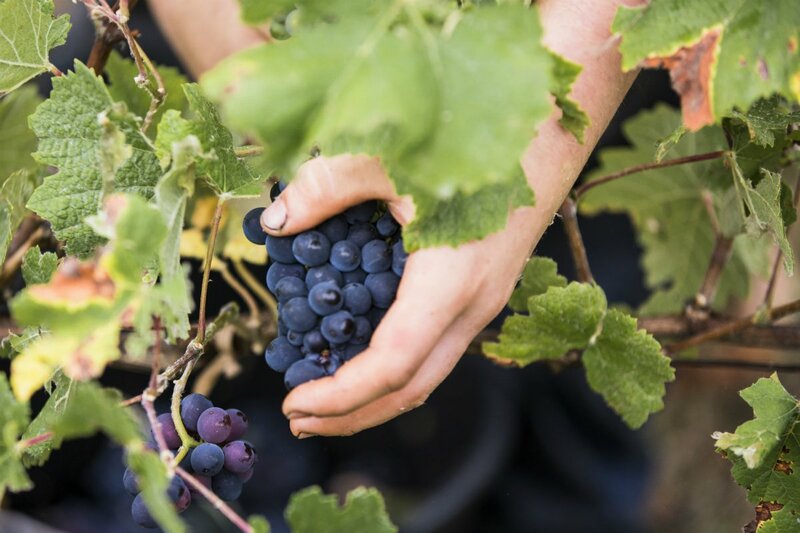 It's lovely to drive through the vineyards and get lost in small, intimate villages like Chigny les Roses and Rilly la Montagne, where you really feel the heart and soul of this magnificent region through the people, the winegrowers, and workers. Please don't be shy about going into the vineyards and speaking directly with the people. We are passionate and are always happy to share our knowledge of growing and winemaking. It's hard to pick just one! I would say visit a vineyard and tour the cellars: Taste their champagne, get to know the winegrowers, and enjoy a local lunch on a terrace overlooking the vineyards. 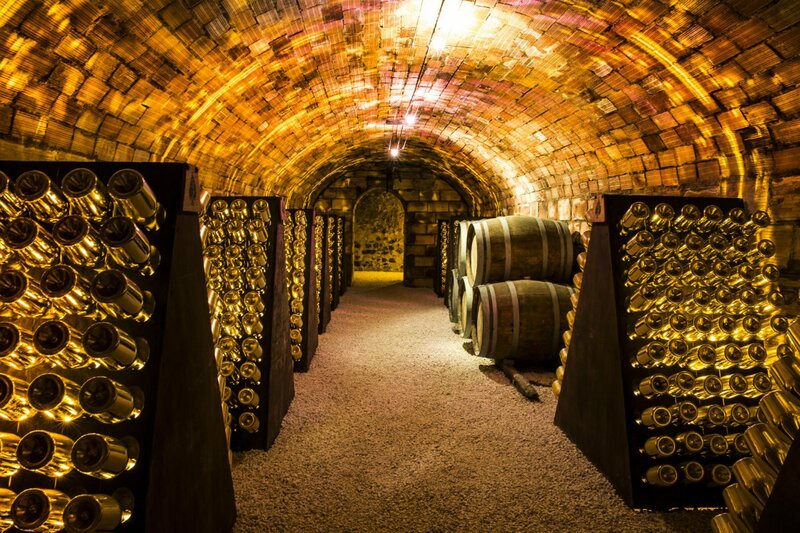 The cellar at Armand de Brignac. When in Champagne ... drink! Champagne Drappier is family-owned and similar in size to our own vineyard. Champagne Selosse is very interesting and showcases unique wines. Mailly Grand Cru produces extremely high-quality champagne and the hosts are warm and endearing. The Reims Cathedral. Photo courtesy of Reims Tourism. The top of the Reims cathedral has sweeping views of the town and surrounding vineyards. Visit the palace for a look at the historic residence of former French kings awaiting their coronation. The arboretum is a terrific place to take a walk and cool down during the summer or to admire the colorful foliage in autumn. Take a stroll down one of Champagne’s most iconic streets. Walk through the village and discover the town’s many examples of wrought iron art. A delicious bakery featuring a variety of cakes, sweets, and the famous pink biscuit of Reims. The Reims park hosts art exhibitions, concerts, and the annual music festival La Magnifique Society each May. The market, opened in 1929, is a marvelous way to see local culture, especially at the farmers' market on Wednesday, Friday, and Saturday morning. I go every week to buy the best quality vegetables, meats, cheese, and fish. A casual spot to sit outside, have a glass of wine or beer with friends, and enjoy a concert during the summer months. The historic spots in the plaza include Hotel Le Vergeur and the cryptoportique, a semi-subterranean vault built in the third century AD. I go to concerts at La Cartonnerie, improv shows at Les Sacres De L’Improv on the first Thursday of every month, and the circus at Le Temps Des Cerises. The bar in a treehouse in the Verzy forest is a fun, unusual place for Champagne tasting. For incredible views of my beautiful region. 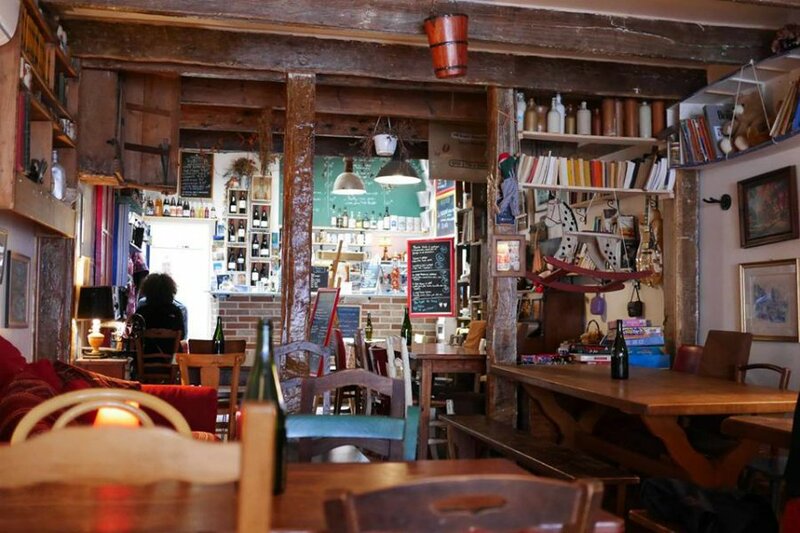 The quaint and cozy Le Cabasson Estaminet. Photo courtesy of Le Cabasson Estaminet. If you’re visiting Hautvillers, this is a fantastic place to try different Champagnes and to pair them with local dishes. They have a very good wine list from winegrowers based not only in Champagne, but all over France. Coq Rouge is a perfect place to relax and enjoy a glass of red wine after a full day of Champagne tasting. Similar in spirit to Le Coq Rouge. This place has a fun, lighthearted atmosphere with a weekly, rotating wine list and games like petanque. I come often with friends at the end of the day to sit back and enjoy food from local food trucks with a glass of wine. I love this place! It has a cozy and comfortable atmosphere that makes you feel at home with gypsy jazz music, homemade pie, microbrewery beer, and board games. It also serves brunch. What more could you want? 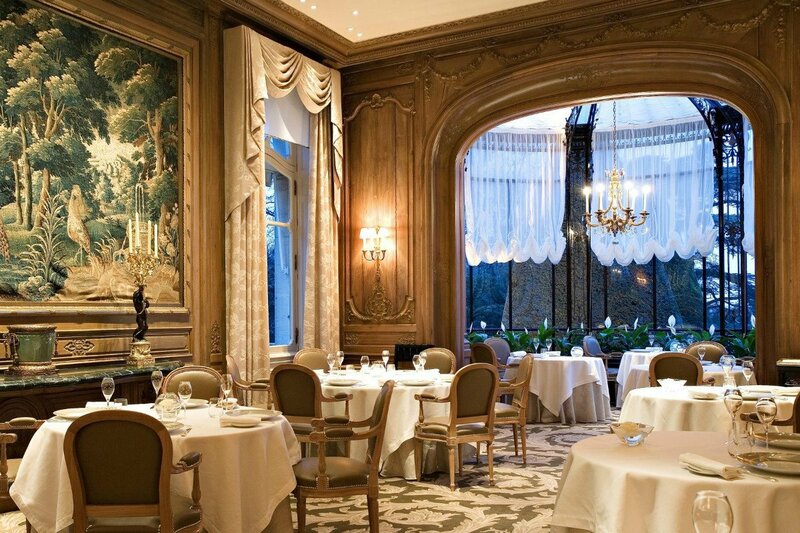 Inside the elegant dining room at Les Crayeres. Photo courtesy of Les Crayeres. My favorite Michelin-starred restaurant in the area now does a special menu paired with our cuvées. Arnaud Lallement is a remarkable chef. A magnificent Michelin-starred restaurant with beautiful grounds that are perfect for a sunset stroll. Also Michelin-starred, serving a modern take on Japanese-French fusion. A healthy spot located behind the cathedral, featuring an array of salads, bowls, wraps, and juices. Go for the perfect lunch. A wonderful spot front of the cathedral with a nice terrace for tapas, Champagne, and brunch. If you make it to the small town of Rilly, spend the night here. Photo courtesy of Chateau de Rilly. 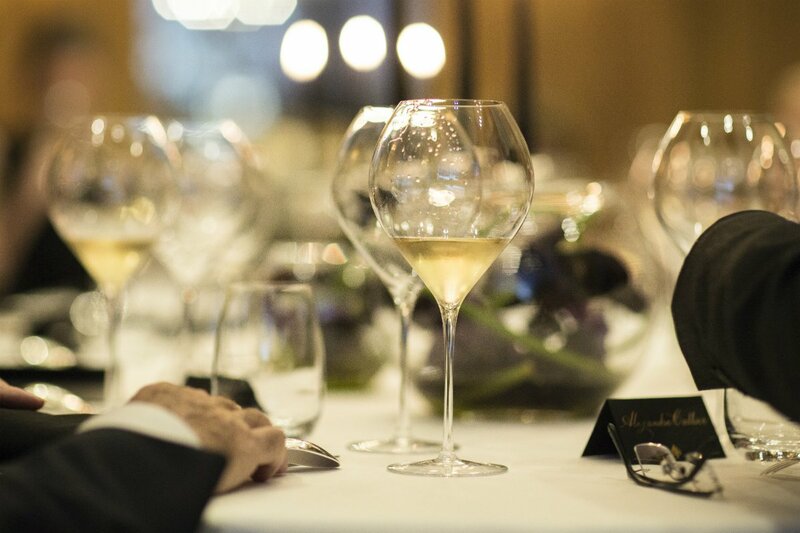 For luxury, L’Assiette Champenoise and Les Crayeres. For a B&B, La Demeure Des Sacres. For a castle hotel in Rilly, Chateau de Rilly. Hands on at Armand de Brignac. Photo by Bernadette Knight. I would highly suggest renting a car, as there is little to no public transportation and very few Ubers or taxis. The best time of year to visit is from May to October, and I would highly recommend visiting during the harvest as well (generally in September). Many locals don’t speak English, so practice your French. The people are modest, and it’s best to dress in a respectful way that matches this custom. However, we French love to party, so come ready to meet new people with the biggest hearts. An empty bag. By the end of your trip, you’ll thank me that you have room for all the excellent bottles of Champagne you’ve found along the way. Emilien is a French winemaker and fine wine-enthusiast. You can follow his work on his website and at @armanddebrignac on Instagram. 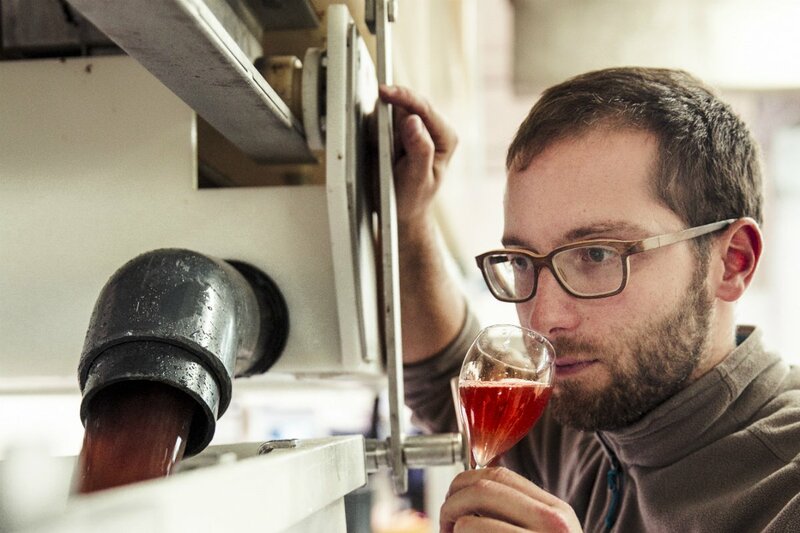 He travels for the thrill of discovering new wines and exploring unique terroirs around the world.